If you’re reading this website, chances are you already own and play Animoog. But do your musician friends do as well? That’s the opportunity for everyone to get Animoog, both the iPad and the iPhone versions, as well as Moog Music’s Model 15 app, at a 50% discount. I suspect this sale will last until next Monday or so, enjoy it while it lasts. I’m happy to have completed and now share with you the final version of my ‘Model 15’ album of improvised solos made with Moog Music’s ‘Model 15’ app during its Beta testing phase. I couldn’t resist the fun of releasing an album the very day the musical instrument becomes available to the world :-) That’s why you got an incomplete preview version. Please read the initial announcement if you haven’t do so already. Those who have purchased the album already, THANKS AGAIN! :-) and please redownload the album for free on Bandcamp in order to get the full album as I intended it. My apologies for not having told you in advanced that I wasn’t done reviewing all the improvisations I did with the ‘Model 15’ app during its beta testing phase. I thought my first track triage was good enough but it wasn’t. The new total is 17 tracks and a running time now of 40 minutes. I also slightly shortened the ‘There will be more’ track for it to begin and end more smoothly. In a minority of cases, I truncated the beginning or the end of a track, which is provided raw without any mastering: that’s really how great the ‘Model 15’ app sounds by itself and played live :-) We really need quality headphones to fully enjoy such an app and the resulting tracks. Here’s the updated list of tracks with the presets I used to play the improvised solos with Model 15. For the new version of the Album, I admit I haven’t respected the chronological ordering of tracks I used for the initial release, the new tracks haven been inserted attempting to make track transitions pleasant as much as possible. I’m rather happy with this album, I feel it brings something new I never heard elsewhere. That’s the feeling I get when I play solos with the Model 15 app. That’s fun music anyone can play live with the ‘Model 15’ app just like I did. The album is of course still free, better actually as it is available as Creative Commons CC-BY, and you can ready for Moogfest 2016! I think I’m now done working on Animoog albums for some time, there’s another music project I want to work on first. And yes, it’s Animoog related :-) I obviously won’t stop playing since I like it so much. And you’ll still hear from me since I have a few other Animoog-related posts to share with you. Great news! Italian sound designer Tiziano Gileno Fasano, aka Subconscience, recorded a video tutorial just for us, showing how to connect Animoog to Model 15 with Audiobus, a process which further opens the door to endless possibilities! Thanks Tiziano! Now we know how to easily mix my two favorite musical instruments, Animoog and Model 15! Subconscience also provided 25 excellent free Animoog presets, you’ll find them here in our recent update to the table of expansion packs. A great day for synth players! 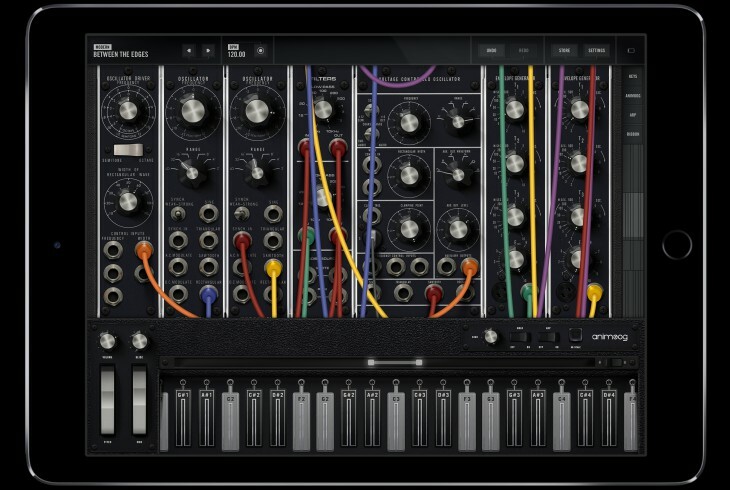 Moog Music has launched a new musical instrument for the iPad, the app named ‘Model 15’, replicating the actual Model 15 modular synthesizer from the same company. 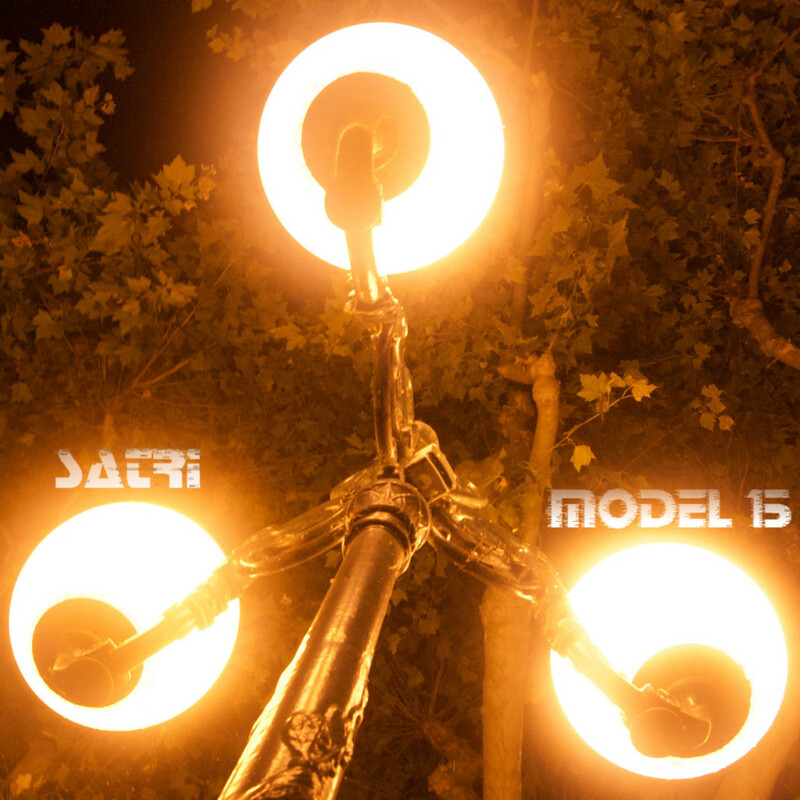 It’s my pleasure to release my ‘Model 15’ album of improvised solos played live on the ‘Model 15’ app and provided raw, without any mastering, sequencing, overdubbing or external effects — Model 15 allows us to play amazing tracks live. It’s the very first album entirely created with the Model 15 app simply because I’ve been lucky to be selected as a beta tester for the ‘Model 15’ app. My previous experience was with the musical instrument Animoog, for which I published two freely available albums of improvised solos, ‘Unanimoog, escape inside the music‘ and ‘Pianimoog •• discoverY‘, I had no experience with a modular synthesizer, and now I do! Over a period of a few weeks during late sessions once my girls were in bed, I’ve been able to explore the Model 15 app and discover the richness of its built-in presets. The ‘Model 15’ app brings a classic modular synthesizer to the masses . An amateur like myself can have lots of fun playing this musical instrument live without any prior experience with modular synths — that was my case! The album is filled with freetronica tracks: electronic music played live without any part of the track pre-recorded. No excuses and no preparation required: pick the instrument and play! Just like for Animoog, quality headphones are required to fully enjoy the depth of those sounds. Despite being used to the diversity of presets available for Animoog, I was surprised when I found the ‘Polynoise’ preset from sound designer Drew Neumann, a preset sounding like the wind! I found myself happily smiling “I am the wind!”. The album smoothly begins with two tracks of blowing air :-) Then at some point I started messing with the Model 15 knobs while playing and wonderful sound modulations reached my ears. Understanding what the knobs and wires do is not a requirement, but it’s certainly an asset. The track ‘Constrained nonetheless’ is such a track where I turn knobs while playing live. This short 30-minutes album presents 13 tracks offered in chronological order. The various presets I leveraged are listed in the table below. Sound designers are able to do magic with the Model 15 app. My freetronica albums are brought forward by the Apptronica label, a warm and welcoming home for several ‘iOS musicians’. The album is freely available on Bandcamp and soon available in many other places online. Like my previous ones, it is available under the CC-BY Creative Commons license and consequently, free to anyone to copy, use and transform. Model 15 app which officially launched today! It’s incredibly fun to play such tracks live: instant freetronica gratification for lots of us! I still have lots to learn and to improve, especially that there’s now many more presets available than what was available during the beta testing phase. I expect musicians to start creating surprising new music thanks to the expressiveness capabilities of apps like Animoog and this new Model 15 app.